I have been an artist and teacher for over 35 years exhibiting and teaching in Washington DC, North Carolina and South Florida. My Judaic journey started after a 2005 summer trip to Israel led by Rabbi Robert Frazin, Rabbi Emeritus of Temple Solel in Hollywood, Florida. It was my first trip to Israel and I was amazed by the beauty of the land. We toured the mountains, valleys and seaside. The history was in every footstep and my heart was filled with pride. It was then that my connection with Judaic art and artifacts began. When I returned to the U.S., I was undeniably changed. 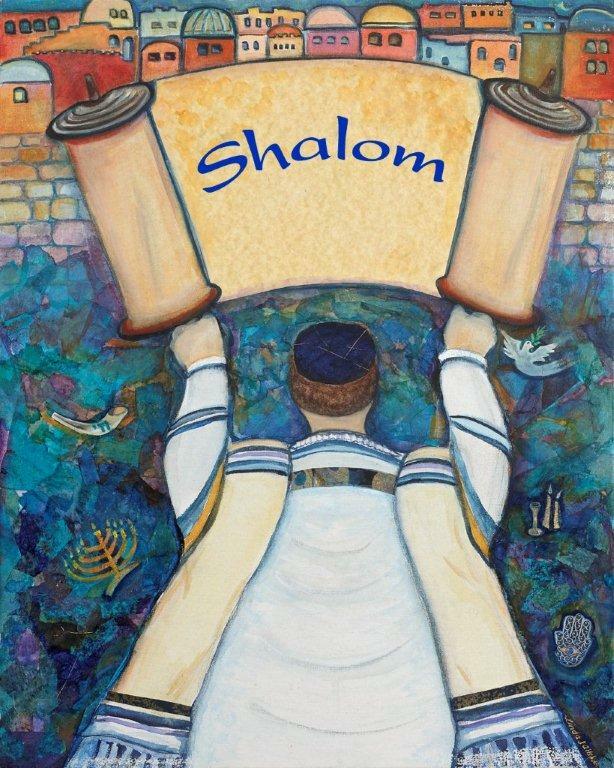 I was commissioned by Rabbi Jeffery Kurtz-Lendner, senior Rabbi of Temple Solel, to create a painting for his office to symbolize Israel. I used my knowledge of Jewish traditions and icons to create my collage mixed-media painting of the Star. 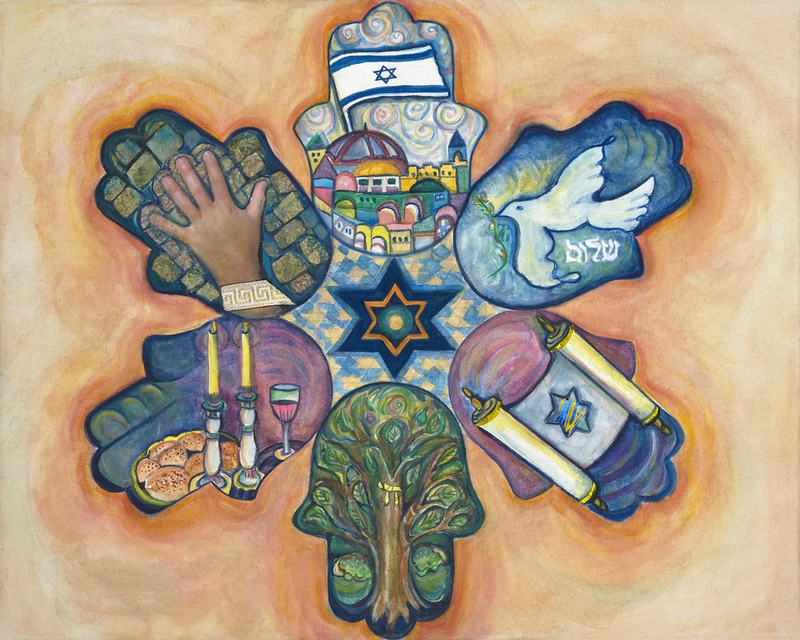 This spiritual painting became the commemorative poster for the Israel 60 celebration at Nova Southeastern University in Davie, Florida. The event was sponsored by the Jewish Federation of Broward County, and took place on May 4th, 2008. 35,000 people attended the event and many bought posters from my booth. It was an honor that will reside in my memory forever, and with that, my Judaic career began. 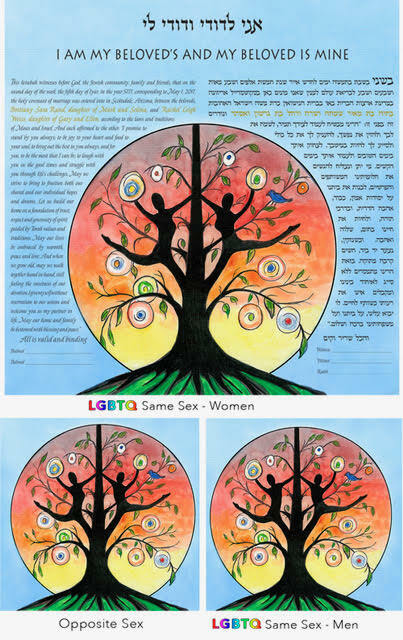 My original art hangs in Temple Beth El of Hollywood, Congregation Beth Hatephila in Asheville, and Temple Solel where my first Torah cover resides permanently in the arc. 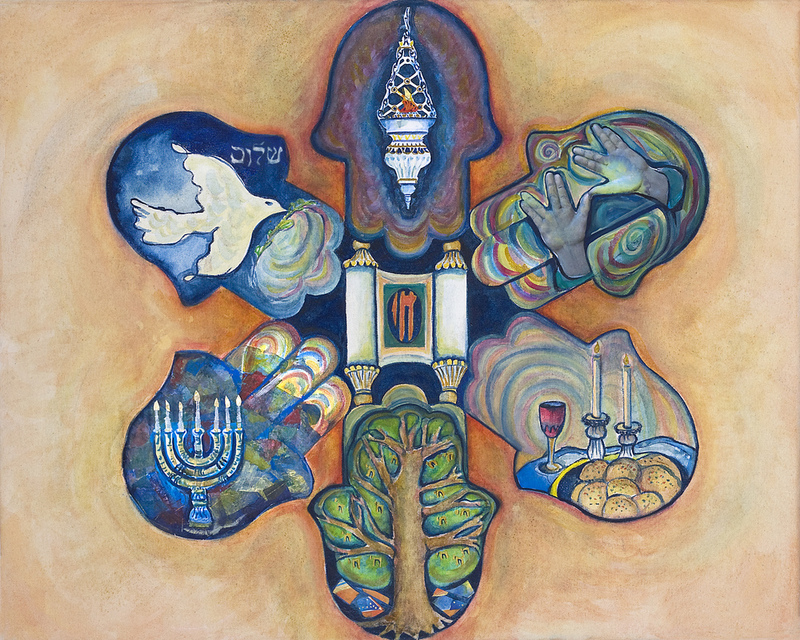 Many paintings have become ketubot with JudaicConnection.com. You can view my ketubot at JudaicConnection.com. Photos with Cindy Michael, owner of JudaicConnection.com and Sean Altshuler, Linda's son. 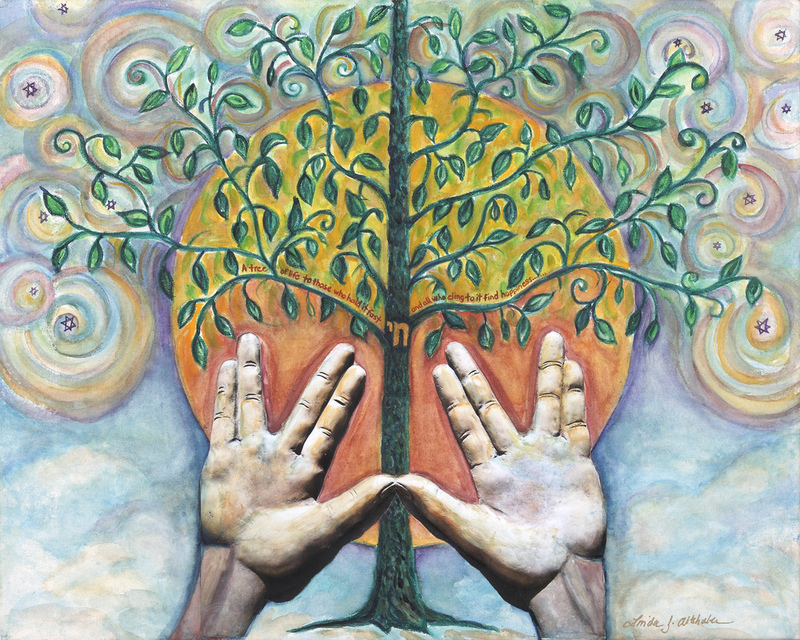 Linda based her ketubah 'Hamsa Y'Israel' on a photo of Sean's hand touching Jerusalem's historic Western Wall.